Ann Turpin is a mixed media artist who utilizes various techniques to create abstract one off pieces. She has exhibited successfully at group art exhibitions. Ann won 1st prizes medals at the RDS annual craft competition in 2001,2003 and 2012. Ann holds an honours degree in Fine Art and City and Guilds diplomas in creative embroidery. 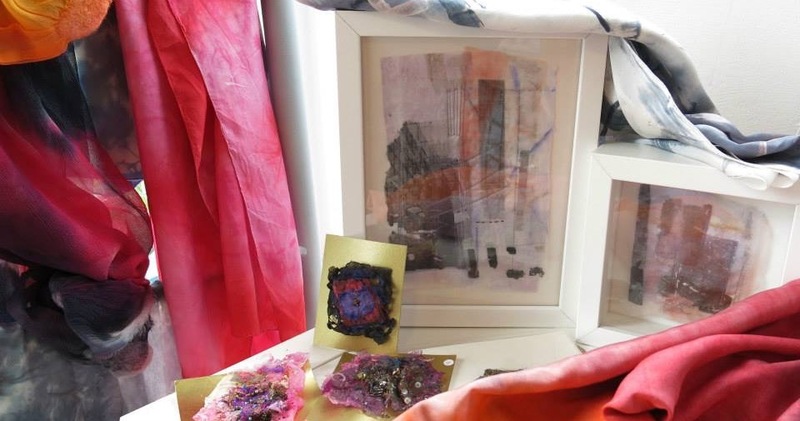 Ann’s unique hand dyed and painted textiles for sale include silk Nuno felted chiffon, silk satin and silk velvet shawls and scarves , framed textile pictures, one-off cards and stitched jewellery.